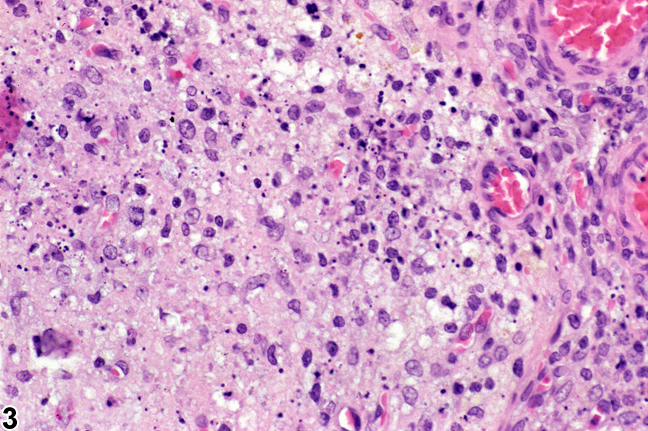 Ovary - Necrosis in a female F344/N rat from a chronic study. The necrotic ovarian tissue is sharply demarcated from the adjacent ovary. Ovary - Necrosis in a female F344/N rat from a chronic study (higher magnification of Figure 1). 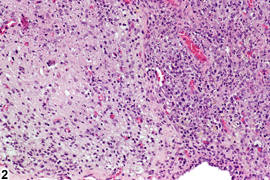 The necrotic ovarian tissue is demarcated from the adjacent ovarian stroma. 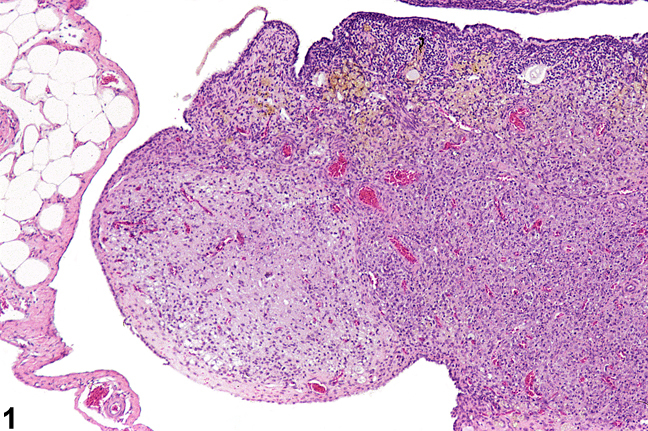 Ovary - Necrosis in a female F344/N rat from a chronic study (higher magnification of Figure 2). 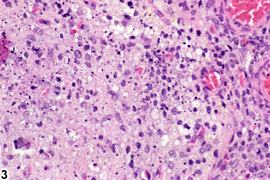 There are pyknotic cells and cellular debris and adjacent mononuclear cells and neutrophils.